Geri acquired a C6 Spinal Cord Injury four years ago as the result of a cycling accident. 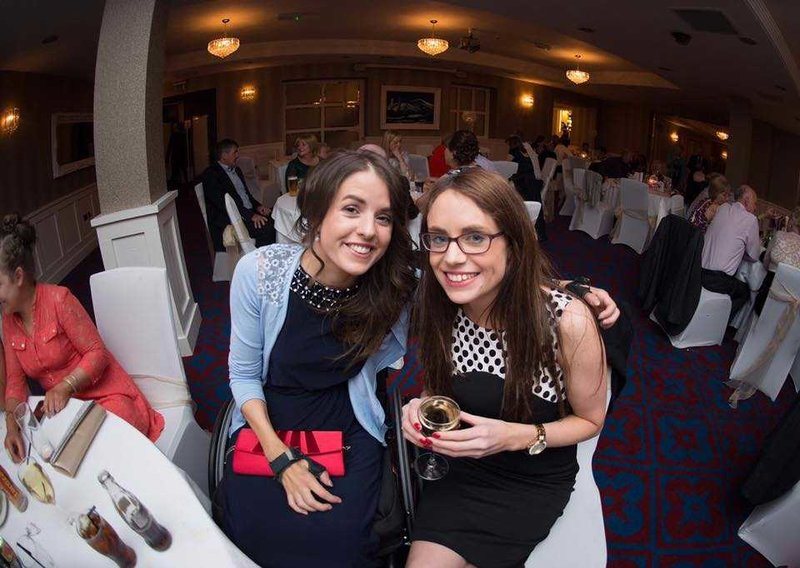 She runs spinalcordinjury.ie blog as a way of offering advice ranging from practical information, such as personal grooming and mobility, to fashion and travel tips. She has gleaned this information over three and a half years post injury, and now shares it to help others with spinal cord injuries. Today, she talks to us about social gatherings at Christmas time. Disability comes with its own unique trials, but for me as a very social and outgoing individual, social isolation is one of the hardest challenges to accept. Over the festive season, social gatherings become a buzz word. However, this can be an extremely isolating time for disabled people with many, including myself, unfortunately being excluded. Due to elevated stress levels associated with outings due to accessibility issues and the resultant mental fatigue I feel, I find it hard to do things at short notice. I therefore choose instead to opt out of social events, thus adding to my isolation further. In my experience of transitioning from an able-bodied world to a world tacked on haphazardly for a person with paralysis, segregation is commonplace and sadly an accepted part in public spaces and beyond. To be included in society is a full-time job in itself, not to mention during a time of intense crowds and thick human traffic flow. More often than not, a lack of accessibility and limited movement of disabled people in public spaces is commonplace and accepted. In my experience, bars, pubs and clubs often contain hostile and hard-to-navigate spaces with disability not being an inclusive part of the design process. Spaces do not flow easily, especially those with steps which are not at all welcoming to those on four wheels. Our freedom of movement is hindered in other ways too. For example, there can be a lack of accessible seating in pubs with high tables and high chairs, especially if you don’t have the ability to transfer out of your chair freely. Even accessible toilets are often too narrow for smaller manual chairs as opposed to the larger power chairs. I’ve experienced this on more than one occasion where I’ve had to leave the door open while emptying my catheter bag, which is utterly detrimental to one’s dignity. Not only is our right to move freely without impingement from anyone or anything impeded, but also one’s right to privacy is violated. For those without the choice to drive due to a disability, there is a lack of resources to move within communities and beyond due to poor transportation options, again furthering isolation. Ramps for wheelchair access are often broken too. My first encounter with this situation was a year and a half after my accident when I arrived at the bus station in the early hours of the morning. It was to my horror that I discovered this accessibility issue that as an able-bodied individual, I had not been faced with before. If it had not been for the kindness of two random gentlemen who graciously carried me on and off the public transport, I would have remained stranded. Many disabled people face these battles every single day. If you are organising a social event and there is a friend in the group with mobility issues, there are precautions that can be taken to minimise frustration and heartache. Research your surroundings where possible and plan ahead! Simple ideas that I would advise to minimise problems include ringing ahead to make sure elevators are working, there are wheelchair facilities present and tables are at a suitable height. Opting for open spaces can also be a good idea. If you’re travelling using public transport, it might also be a good idea to call ahead prior to journeys and make sure ramps are available. Christmas can be a very expensive time for many. Both financial and accessibility issues for disabled people mean that social gathering are often seen as a luxury rather than a necessity; a vicious cycle. However, being mindful of the issues disabled people can face and doing your best to accommodate these can be one way of making Christmas a more inclusive and sociable time for all. Season’s greetings and enjoy the gatherings!! !